"Roast chicken pieces with sticky, sweet and tangy coating." Place chicken in a 9x13 inch baking dish. Mix together the oil, soy sauce, ketchup, honey, garlic, salt and pepper. Pour over the chicken. 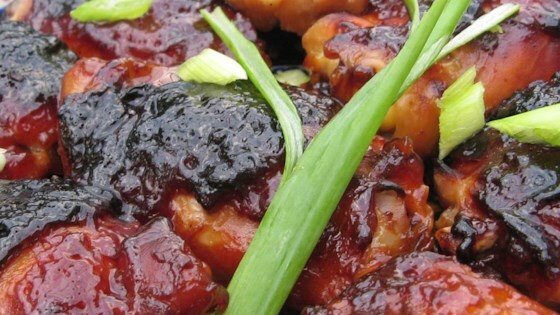 Soy, ketchup, garlic, and honey create a sweet, sticky, tangy sauce for wings.